Whether you are slicing, chopping, or carving – a good cutting board is an essential tool in the kitchen! Not all cutting boards are created equal, and if not used or cleaned properly, harmful bacteria will harbor in them. Choosing the proper cutting board and knowing how to clean it properly is crucial to avoid poisoning yourself and your family. The most popular cutting boards are wood, plastic, bamboo and marble/granite. 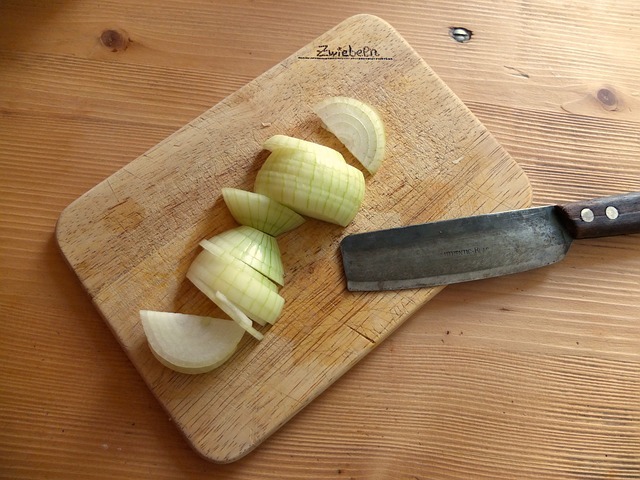 For me I love bamboo cutting boards, they last for a long time, without too much maintenance and they naturally resist water penetration thus avoiding bacteria to find a place to form. The downside is they are hard on the knife-edge. The size is also important, in my kitchen, I have three sizes 6 x 8 inches for small fruit and snacks, two 12 x 14 inches for produce meat and fish, and 15 x 20 inches for carving. I have two 12 x 14 inches because I use one only for produce and food that can be eaten raw, and the other I use for dairy, meat, and fish. Always sanitize the dairy, meat and fish board after each use. If someone in your family has a sensitivity to gluten, shellfish or other foods I would recommend using a separate board to avoid contamination. There are many stylish cutting boards that look hygienic but in fact, they can be a haven for bacteria such as Salmonella and E. coli. In my opinion, when it comes to cutting boards, it is more about food safety and maintenance than style. In a study at the University of Wisconsin, scientists found that three minutes after contaminating a cutting-board, 99.9 percent of the bacteria on wooden boards had died. On plastic boards, none of the bacteria died, bacterial numbers actually increased on plastic boards that were held overnight at room temperature. 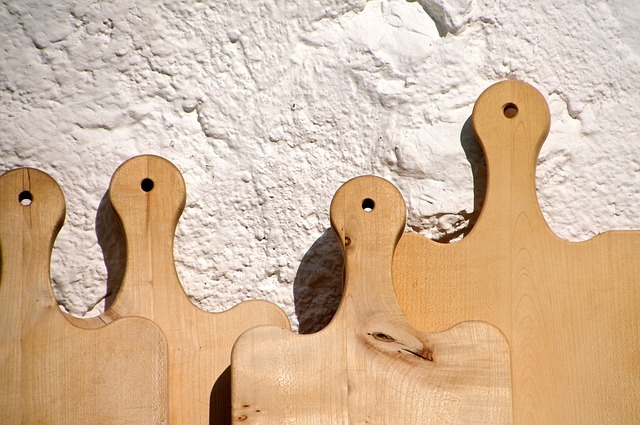 The scientists didn’t recover any bacteria from wooden boards treated the same way. Wood board ~ is great for foods that can be eaten raw like fruits and vegetables. It is the best choice for maintaining a knife’s edge. Bamboo board ~ is dense enough to resist knife scarring and naturally resists water penetration and bacteria. You can use this board for everything providing that you clean it properly. When shopping for a bamboo board, look for ones that are manufactured with formaldehyde-free glues and non-toxic treatment methods. Plastic board ~ If you are cutting onions or garlic, plastic boards are a good choice because they will not absorb the smell. They can be sanitized in the dishwasher up until scuffed, which is when it is more difficult to remove bacteria. You should throw the board away about every two years or less depending on your usage. Marble board and Granite boards ~ are excellent for making pastries, or any kind of dough because they hold their temperature (cold or warm), and they don’t absorb liquids. They are also super easy to clean. Do no use knives on these boards or they will dull very quickly. Never put it in the dishwasher or let it soak in the water, the water will expand the wood, and eventually, your board will crack. Disinfect by using 3% hydrogen peroxide. Do this by pouring it over the board and spreading it with a clean cloth. Let it stand for 5 minutes and then wipe off. To deodorize the cutting board, pour 2 tablespoons of pure vinegar on the board and spread with a clean cloth, this will neutralize odors and also work as a natural disinfectant. Let sit for 5 minutes, follow with a rinse, and dry the board. To remove stains, sprinkle coarse salt and baking soda on a dry board. Scrub out the stain with a brush dipped in hot water. To sanitize – This should be done once a week or after cutting dairy, meat or fish. Add a few drops of bleach into 2 cups of water, pour over the board, and let stand for a few minutes. Rinse very well with hot water. After cleaning your board it is important to dry it because water will expand the wood fibers and crack the wood. I oil my boards before first time use and once a month to keep them beautiful.